Mass spectrometry is one of the most powerful methods for identifying biological molecules. Its importance was recognized by the 2002 Nobel Prize awarded to Fenn (electrospray) and Tanaka (MALDI) for methods to both input molecules into a vacuum and to ionize them once they are there. Microscopy is even more essential to medical science. In conventional microscopy, the image resolution is limited to the “Abbe limit” to approximately a wavelength of light or ~ 0.5 microns. This limit can be broken by “super-resolution imaging,” where features <1/10 of the Abbe limit are resolved. The importance of super-resolution microscopy was recognized by the 2014 Nobel Prize in Chemistry awarded to the originators of three unique super-resolution microscopy methods. Ultrashort laser pulses can be focussed to a microscopic spot. When the intensity is high enough material can be lifted of the surface of a sample with a spatial resolution that beats the Abbe limit. Further increasing the intensity of the laser pulse leads to multiphoton ionization – an extremely efficient ionization mechanism that allows for detection of single molecules. 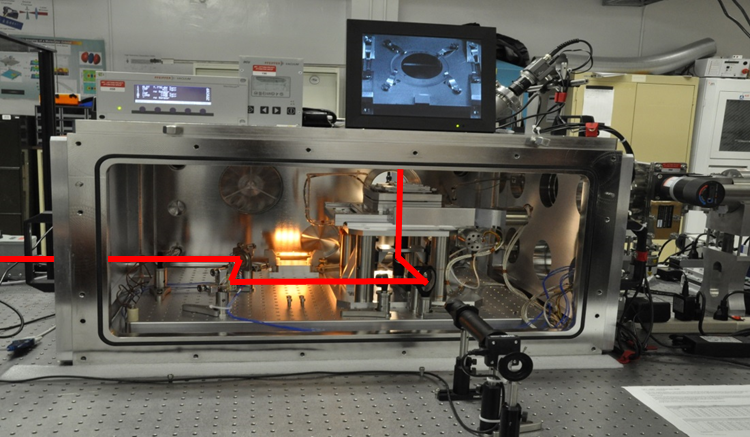 Further more multiphoton ionization is a soft ionization method, that can be tuned to produce mostly parent ions and little fragmentation, a critical ingredient for a recognizing molecules in a mass spectrometer. At JASLab, we developed an imaging mass spectrometer, where femtosecond laser pulses are being used for laser ablation with micrometer resolution and simultaneously serve as a soft ionization source for the mass spectrometer. Femtoseconds pulses create ions. Afterwards, an electric field pulses through the ITO substrate, propelling the ions upwards into the TOF to be analyzed. 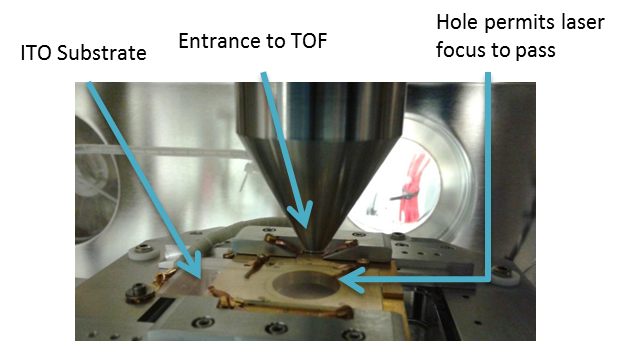 Control of femtosecond laser ablation of thin films from a dielectric surface by nonlinear interaction with the substrate.Mercadier, L.; Rayner, D. M.; and Corkum, P. B.Physical Review Applied, 2: 034001. 2014.